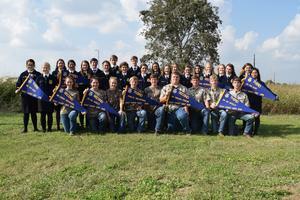 On Wednesday, November 7, East Bernard FFA competed in the Gulf Coast District LDE Contest. Out of our eleven teams that competed, nine of them qualified for the Area XI LDE Contest. The two teams not advancing to Area Contest were only one place out. Results are listed below. These students have been working extremely hard and we are ecstatic about not only their performances, but also the way they represented East Bernard as a whole. Each and every one of them deserves a huge congratulations for their efforts! The Area XI Contest will take place on Saturday, November 17 at Blinn College.